Starter Hugo theme for developers. Blank — starter Hugo theme for developers. Use it to make your own theme. 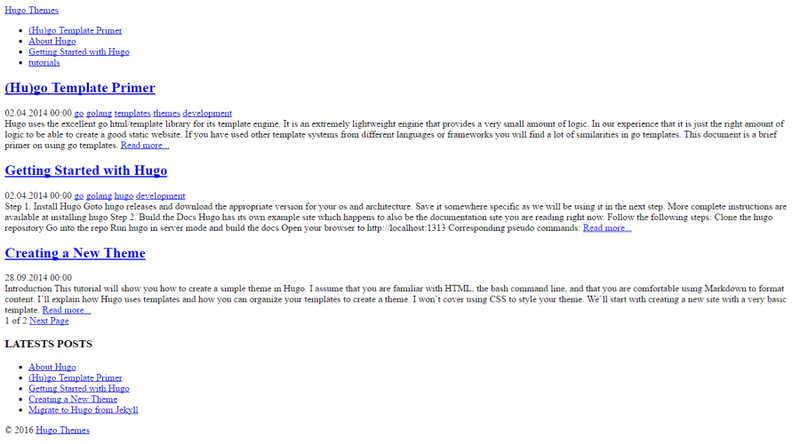 Next, open config.toml in the base of the Hugo site and ensure the theme option is set to blank.